Fans of E! and their True Hollywood Story docu-series will be quite familiar with the supposed 'curse' surrounding the Poltergeist franchise. It was a subject that was fully explored on that program quite well. Now, the mystery behind the curse will hopefully be solved in what promises to be a very spooky new documentary titled The Curse of Poltergeist. 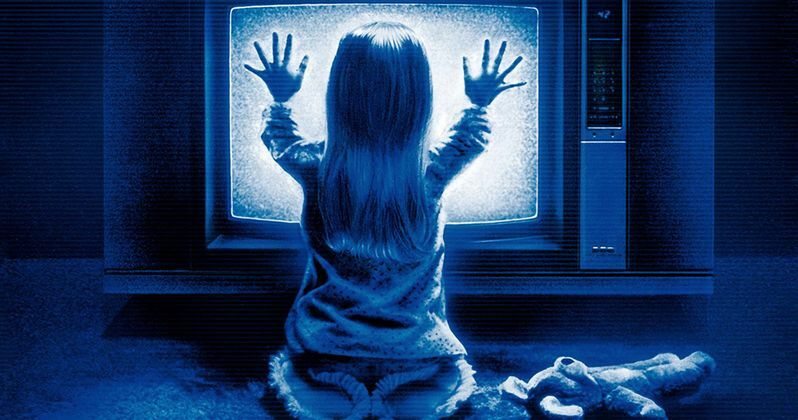 The Curse of Poltergeist hopes to unravel the truth behind all the ugly incidents that have followed those associated with the 1982 classic and its sequels. Producer and filmmaker Adam Ripp wants to get to the bottom of this intriguing and scary curse that has plagued the cast and filmmakers behind the Steven Spielberg produced horror movie series for the past three decades. Adam Ripp is directed the movie through his Vega Baby company. Vega Baby is financing the project, and producing along with Indonesian studio MP Pictures. Shooting will start in November. The Curse of Poltergeist will be told through the eyes of still-living actor Oliver Robins. He played the young son Robbie Freeling in the first two movies. The documentary will focus on his life and experiences, filtering the tragedies that have befallen those involved with the film through his perspective. About appearing in the movie, Oliver Robins had this to say. "It will be a journey into the unknown as I attempt to understand the meaning behind the tragedies surrounding the movie. It's something that will hopefully bring closure to a dark chapter in my life." Oliver Robins hasn't done much acting since appearing in 1982's Poltergeist and the 1986 sequel Poltergeist II: The Other Side. His only other substantial credit is the sequel Airplane II: The Sequel, which opened the same year as Poltergeist. He has been much more active in recent years, writing, producing and directing a handful of independent projects. He was one of the few not to seemingly suffer any blowback from the Poltergeist curse. That can't be said for several of the other actors involved with the original thriller and its two follow-ups. Many of them have met a gruesome ending. Dominique Dunne, an up and coming young actress in 1982, played Dana Freeling, the oldest daughter of the Freeling clan. She was murdered by her ex-boyfriend the same year the first movie hit theaters. Heather O'Rourke, the only actor to appear in all three original movies, died during the production of Poltergeist III in 1988. She was only 12 years-old when she succumbed to acute bowel obstruction. The film was finished without her and released later that year. Five deaths occurred in all, along with a strong of other bizarre accidents. Many believe the The Curse of Poltergeist was brought on by the fact that the film crew used real human bones as props in various scenes for both Poltergeist and Poltergeist II: The Other Side. The 2015 Poltergeist remake, which was released this past summer, seems to have broken the curse. But we won't know until we get all the facts in The Curse of Poltergeist. The documentary does not have a set release date at this time, but could be ready by next Halloween. We've provided a video that gives more insight into the curse.